An economical option for your Italian eatery, this pomace oil features a higher smoke point and less distinctive flavor than extra virgin olive oil or virgin olive oil. Olive pomace oil is a refined oil which is extracted from the olive pomace that is left behind after pressing, and combined with virgin olive oil for use. 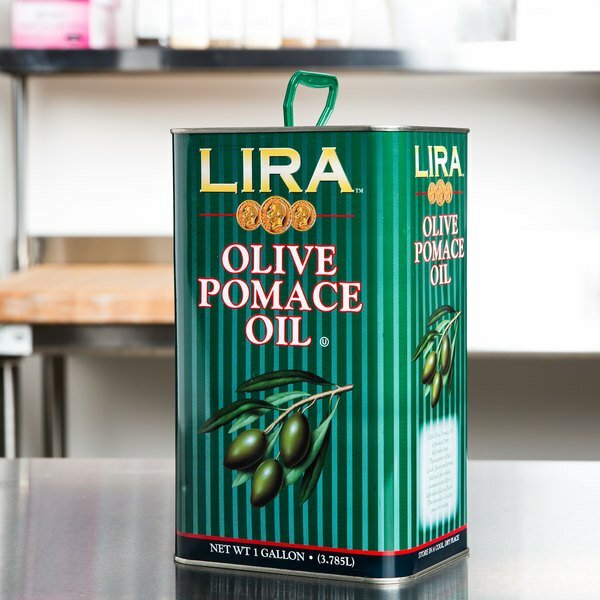 This pomace oil is great for achieving a silky smooth consistency, similar to that achieved by using first press olive oil, without the strong flavor intrusion of such oil. The lighter flavor and milder olive taste is versatile and won't clash with the other ingredients in your recipes. This multi-purpose oil has many benefits for your commercial kitchen. Since it has a higher smoke point, it's great for frying batch after batch of your fried chicken, fish, or other foods, without imparting an oily flavor. Great for sauteing vegetables or creating marinades, this oil also blends well when making sauces. I use this Olive oil for my hand made soap. It works great. All of my batches have turned out great and the price is fantastic. Use this for soap making and it works like it is supposed to. 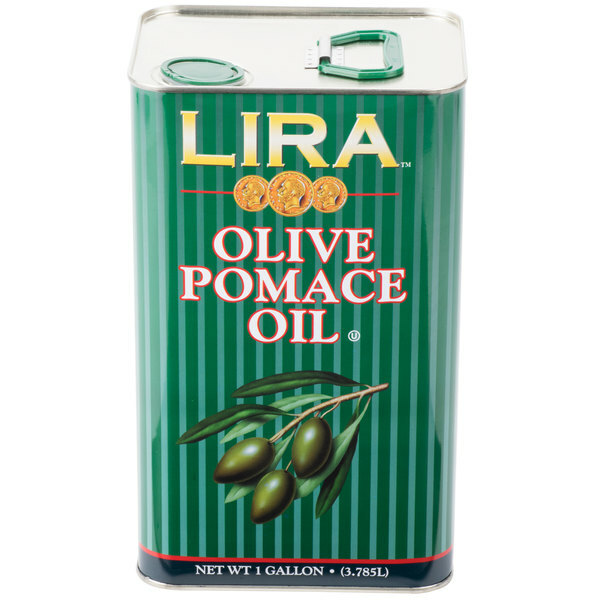 Nice price on a pomace olive oil and it has so many uses. I have looked at many different places and this is the best value I found. Some of my bars of soaps are made with olive oil so I need to depend on a good product and price . Was looking for a good priced pomace oil for my soapmaking business and Webstaurant offer the best price and quality on the market. I use it as cooking oil at home as well. Shipping is always fast, packaging perfect. No more headache finding a good supplier. This Olive Pomace oil is great. I use it in soapmaking where it works perfectly. It's high quality and I love that I can purchase it a gallon at a time. I purchase this Olive Pomace oil for use in my cold process soap making. The quality is top notch and the price can't be beat. It performs beautifully and has such a lovely color. We use this Pomace olive oil to make our cold process soaps. It is the cheapest we have found and works great! 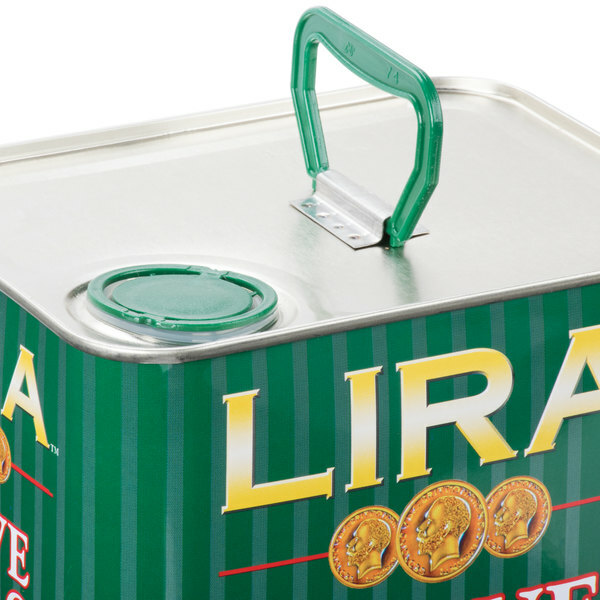 I also like the sturdy metal tins. Use for my soap recipes and love the price and size of this oil. It’s small enough I can use for easy measuring but large enough I’m not buying a new bottle for every batch. Getting ready to place my second order for this oil. I use this olive oil in my soap making. the quality is great and the price is the best I've found. Web restaurant store is very easy to work with and I use the auto reorder facility so I always have stock on hand. Good quality product. Arrived in a very timely manner. Item was described accurately. Many uses for us in our hotel, spa , and restaurant business. This may not be as high quality as a pure olive oil, but it works very well within our salad dressings for only a fraction of the price! Love this pomace olive oil for making soap. It produces a great finished product that I love. Your customer service and quick shipping are appreciated also. I make cold process soap and this olive pomace oil is a bargain. I use pomace oil and pure olive oil both, but the pure olive oil is more expensive and they both produce a similar product but the pomace oil accelerates slightly. I will continue to buy these gallon tins. 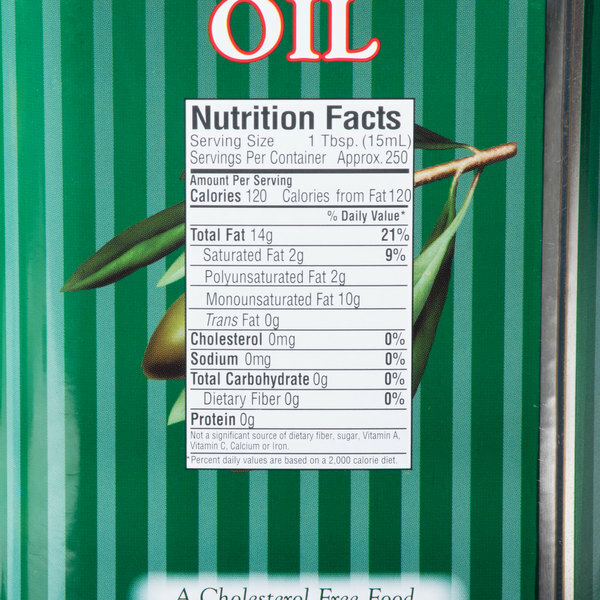 We changed to this oil after doing a little research on pomace oil. This oil is processed like canola oil, chemical processed instead of pressed. You still get a good tasting reliable oil that works as well as cold press with out the price. It was a great price for good quality oil. It had great flavor and shipped quickly. I would recommend this product. I use it for dressings and to serve as is. I use this Pomace Olive Oil to make soap. It works great, the product is consistent every time I buy it. It ships fast and arrives in perfect condition. Now I just need figure what I'm going to do with all these tin cans! I've been devising a way to make art out of them, but so far they're just stacking up in my garage! Quality product with a great taste Great value excellent price and free shipping If you are a member of the plus program. This is my third or fourth time buying a case of this product. We love the product. Works just as well as what we were getting from our food distributor for half the price. We would recommend this to anyone looking.